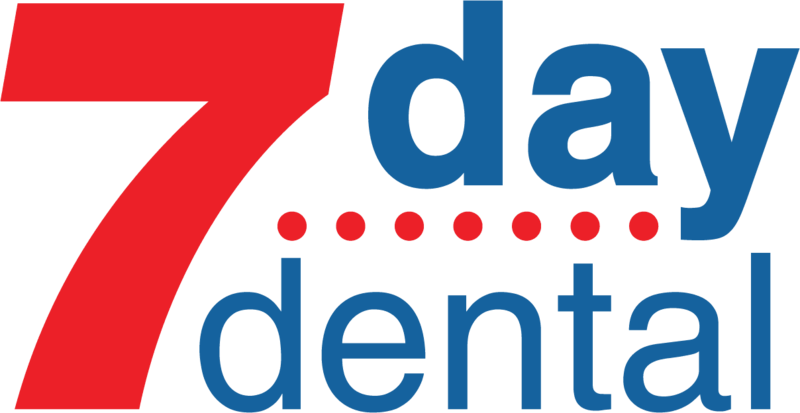 7 Day Dental is one of the most comprehensive dental clinics having experienced Orange County Endodontist. We cater to a wide range of dental issues, including endodontic problems. Our Orange County endodontic practice involves the diagnosis and treatment of endodontic diseases. We also attend to emergency endodontic cases. Our trusted and competent endodontists and dental staff members employ the best practices and techniques. Our clinic is likewise equipped with state-of-the-art technology. With our exemplary dental practitioners and hi-tech equipment, we guarantee a successful and comfortable treatment. We are undeniably the best choice for your endodontic diagnosis and treatment. Read on to learn about the different endodontic services we offer. We conduct endodontic evaluation to identify the source of your pain and determine if your case necessitates endodontic treatment. As we understand the value of proper diagnosis in the successful treatment of a problem, our well trained endodontists and dental staff members engage in a thorough evaluation. To achieve this, they take time to carefully review your medical and dental history, study your x-rays and conduct diagnostic tests. With the aid of state-of-the-art diagnostic tools, our competent Orange County endodontic team makes accurate diagnosis and creates a comprehensive treatment plan to properly and successfully address your condition. Also referred to as endodontic treatment/therapy, root canal treatment is performed to remove the infected or necrotic pulp contained in the root canal. Inflammation or infection of the dental pulp happens when the pulp space is exposed to the outside. This exposure may be due to repeated dental procedures on the tooth, deep decay or a crack or chip on the tooth. Treating the pulp infection is necessary to avoid or relieve pain or abscess. Performed under local anesthesia, root canal treatment begins with the placement of a “dental dam”. This is a small protective sheet used to isolate the tooth and to keep it sanitized and saliva-free during the procedure. Next, the endodontist creates an opening in the tooth crown. With the use of dental instruments, the pulp chamber and root canals are thoroughly cleaned then shaped. This is followed by the placement of a gutta-percha, a biocompatible and rubber-like material, to seal the root canals. Usually, a temporary filling is placed to close the crown opening. Once the root canal treatment is completed, you will be instructed to see your regular or restorative dentist to have a crown or other restoration placed. 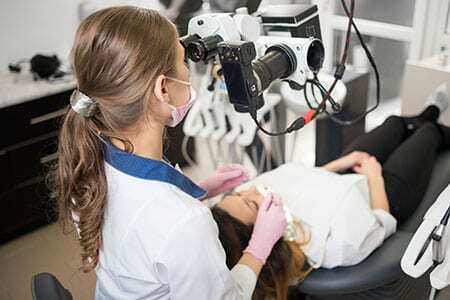 If this process is completed, you can expect your teeth to function normally.With the advent of modern techniques and equipment, root canal treatments are generally comfortable and faster these days. Hence, you don’t have to worry about pain during the procedure. However, there may be a little discomfort after the treatment. If there was an abscess or infection, you may experience sensitivity on your tooth, too. The discomfort goes away in a few days. If you want to relieve the pain, you may take medications as prescribed by your endodontist. Meanwhile, if you experience extreme pain that lasts more than a few days, call your endodontist in Orange County. failure to properly clean and fill canals during the first treatment. Presence of a new decay that exposes the filling to bacteria. The process involved in an endodontic retreatment is very similar to that of endodontic treatment. The only difference is that endodontic retreatment requires the removal of all restorative materials like crowns and posts. Doing this is necessary for your endodontist to access the root canals and carefully examine the tooth. Then, the infection is removed; the area is cleaned and disinfected. After the endodontic treatment, your regular dentist will do restoration work for your tooth to regain its normal function. After undergoing an endodontic retreatment, you may experience discomfort just like in root canal treatment. You can manage the pain with the help of over-the-counter pain medications. Take them as prescribed by your endodontist. If the pain becomes severe or lasts longer than expected, call your endodontist ASAP. One of the most common endodontic surgical procedures is apicoectomy. It is also referred to as root-end resection. Occasionally, following a root canal treatment or retreatment, the bony area surrounding the tooth’s end becomes inflamed or infected. The first course of treatment for this problem is usually antibiotics or anti-inflammatory medications. If this option isn’t effective, an apicoectomy is recommended to treat the abscess or the persistent inflammation or infection. Basically, the goal of this endodontic surgical procedure is to eliminate the infection and save the tooth from extraction.In an apicoectomy, the gum tissue near the tooth is opened for the endodontist to view the bone. The inflamed or infected tissue and the root’s end are then removed. Then, the end of the root canal is sealed with a filling. 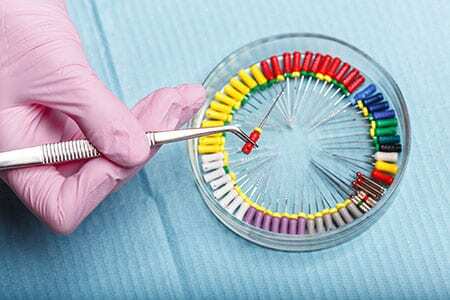 Meanwhile, the gum is sutured or stitched to facilitate tissue healing.This procedure is performed with anesthetics; hence, you do not have to worry about pain during the procedure. You can expect mild discomfort once the anesthesia wears off. You may take medications to alleviate the pain. In most cases, patients return to their normal activities the following day. As for the bone, it is expected to heal in a few months. A check-up, usually after six months, is required for the endodontist to assess if the bone has properly grown. At times, certain events like accidents result in traumatic dental injuries. Some of these injuries affect the dental pulp; thus, they require endodontic treatments. The treatment would depend on the severity of the condition. Endodontists are considered experts in dealing with traumatic dental injuries. Regenerative endodontic treatment is one of the latest developments in the dental field. A fairly new procedure, it is an alternative to apexification. In regenerative endodontic, the goal is to restore the root canals to their healthy state to allow the roots and surrounding tissues to continue developing, to encourage the thickening of the dentinal walls and to promote apical closure. Hemisection involves the cutting of the tooth in half which results into two halves, each with a crown and a root. Given the aforementioned facts, this procedure is only applicable to teeth with two roots, particularly the lower molars. Hemisection is done to address the effects of periodontal disease, specifically those involving decay or bone loss that extends to the bifurcation. The bifurcation refers to the area between the two roots. With this procedure, the endodontist is able to reach the infected area and treat it. A hemisection begins with the endodontist making a small incision on the gums to expose the deeper tooth structures. Next, the roots are separated. 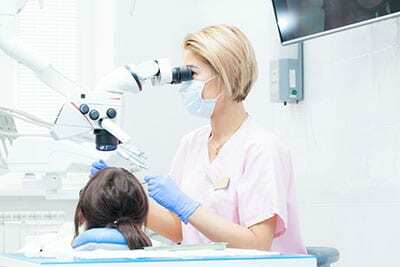 The endodontist then evaluates the condition of the roots. Depending on the damage, one or both roots may be saved. If both are in bad shape, they are going to be discarded. The decay and infected tissue is removed. The part that’s going to be saved undergoes cleaning or sterilization. A temporary filling material is used to seal the crown. The incision is stitched back into place. Once this procedure is completed, the next step is to restore the saved portion using a crown. This is done once the tooth is fully healed.Bleeding and swelling may happen on the first two days after the procedure. These are normal provided that the bleeding or swelling is not severe and persistent. Otherwise, call your endodontist immediately. Also, it’s best to avoid chewing with the treated tooth. To keep your mouth sanitized, expect your endodontist to prescribe a mouthwash. He/She will also give you post-hemisection care tips as well as your next dental schedule. Make sure you do not miss your required appointments as these visits allow your endodontist to monitor and evaluate the treated area. Tooth root amputation, also widely called root resection, refers to the removal of one root in a tooth with multiple roots, just like in the lower molars (with two roots) and upper molars (with three roots). This procedure is done in cases wherein other roots are free of decay or healthy except for one. Certain situations wherein root resection may be recommended include fractured, broken or injured roots, root caries and severe bone loss that affects only one root.It is important to note that, even if only a single root is unhealthy, the tooth’s overall health is an integral factor in determining whether root amputation is a viable treatment option. Basically, for root amputation to be performed, the teeth should be healthy (i.e. strong bone support and healthy underlying gums and tooth surface). If this condition is not satisfied, tooth extraction is the best option. Also, root amputation requires thorough assessment to determine the value of the remaining root as well as the restorability of the tooth. A carefully constructed treatment plan should be made. These things are critical in the success of the procedure.Usually, a root canal treatment is recommended before a root amputation is done. Performed under local anesthesia, a root resection begins with the exposure of the roots of the tooth. This is done by making an incision on the gum and going through the bone. Then, the unhealthy root is removed. At times, a section of the crown is taken out along with the infected root. To ensure the total elimination of bacteria, a saline solution is used to clean the area. Then, the incision is closed using sutures. In some cases, prior to stitching the gums, a bone graft is placed where the removed root was. A temporary crown may be placed to secure the tooth.Once the anesthesia wears off, you may feel pain or discomfort. There may also be mild swelling and light bleeding. To manage the discomfort and prevent infection, your endodontist may prescribe medications and anti-microbial mouthwash. The gum is expected to heal in seven to ten days. Once it’s completely healed, a permanent crown or filling may now be placed. An endodontic surgery is usually performed when nonsurgical endodontic procedures prove to be ineffective in saving the tooth. Also, in cases involving the presence of calcium deposits in root canals, surgery may be necessary to remove the deposits. Furthermore, this procedure helps in the diagnostic process, particularly in locating tiny canals or fractures which were not detected using x-rays or during previous nonsurgical treatments. A chipped tooth is the most common dental injury. In most cases, a chipped or fractured tooth is addressed by reattaching the broken piece. Another option is the placement of tooth-colored filling on the chipped or fractured crowns. In cases wherein a large portion of the crown is chipped off or fractured, an artificial crown or cap is used to restore it. Meanwhile, root canal treatment is performed when the injury involves a pulp that’s exposed or broken. A cracked tooth may be due to an accident. It may also be the consequence of certain habits such as teeth grinding, clenching and chewing hard objects. This injury typical affects the back teeth. Symptoms of a cracked tooth include erratic pain when biting or chewing and sensitivity to cold and hot.Treating the tooth is essential to prevent the development or progression of pulp infection. To treat the damaged pulp, root canal treatment is recommended. After this procedure, a crown is used to hold the tooth pieces together. Meanwhile, if the crack extends to the gingival tissue, the recommended procedure is tooth extraction. This injury includes cases wherein teeth are pushed sideways, into or out of their sockets. The first step in addressing this problem is to reposition and stabilize the tooth. For dislodged permanent teeth, root canal treatment is performed. Calcium hydroxide may be put inside the tooth as part of the endodontic treatment. Several days after the treatment or when the gums are fully healed, the next phase of the treatment, which is the placement of permanent filling, is done. In this procedure, the first step is the removal of the pulp. This is followed by the cleaning and shaping of the root canals. Next, the root canals are treated with medication and sealed using a temporary filling. You’d be required to return to the clinic for the medication to be replenished. The number of visits or the treatment duration varies per case. When a root end barrier is formed, the root canal therapy is completed. The next phase involves the final restoration typically done by the regular dentist. Apexogenesis is a procedure which aims to promote the continued development of the tooth root. It is performed on a tooth that has an injured (but not necrotic) dental pulp and a root canal that is not completely formed. This condition is typically found in children. What’s done in this procedure is that the injured pulp tissue is removed. Meanwhile, the remaining healthy tissue is covered with a medication called MTA (Mineral Trioxide Aggregate). This medication encourages the growth of the tissue. Also, as the child gets older, the root tip (apex) develops as well. This consequently leads to the thickening of the walls of the root canals. Generally, the chances of saving the tooth increases as the root becomes more mature. No additional treatment is necessary if the pulp tissue heals properly. Vertical Root Fracture : Cracks starting in the root and extending towards the chewing surface of the tooth are called vertical root fractures. This injury usually requires extraction. There are times or cases, however, where endodontic surgery is suggested. The recommendation is made when examinations reveal that removal of the fractured root can save the tooth. A case involving a tooth completely knocked out of the mouth requires immediate attention; hence, make sure you call your dentist ASAP.In this situation, it is essential to ensure that the knocked out tooth is in a good state. Handle the tooth properly; hold it by the crown. Rinse it with water ONLY if it is dirty. Try to put back the tooth in place. If putting it back in the socket isn’t possible, put in a glass of milk. It is important for the tooth to be kept moist at all times. Once you’ve done these things, see your dentist immediately. Chances of successfully reattaching the tooth are higher if the tooth is put back in the socket in an hour or two. So, make sure you see your dentist immediately.The first thing your dentist will do is to examine the tooth. If it is in a good state, the tooth will be put back in its socket. To stabilize the tooth, a splint may be placed. After a week or two and depending on the development of the root, an endodontic treatment is done. Then, at a later date, a permanent root canal filling is placed. Nonvital pulp therapy is done to save a primary tooth with irreversible pulp infection or necrotic pulp. This procedure involves pulpectomy or the removal of all the diseased pulp from the crown and root. After the necrotic tissue is removed, the area is cleaned and disinfected. The canal is then filled and sealed to prevent microleakage. 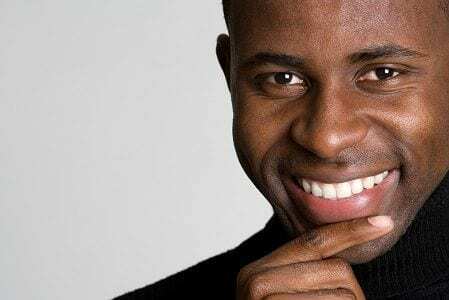 Internal bleaching, also referred to as non-vital bleaching, is a procedure performed to lighten or remove the discoloration on a tooth that has undergone root canal treatment. It aims to achieve this goal without sacrificing the tooth’s hard substance. This dark discoloration is due to blood, bacteria and saliva components that entered the canal during the root canal treatment. These components enter the canal when a rubber dam isn’t used during the initial treatment. Basically, in this treatment, the tooth is lightened with the help of a chemical oxidizing agent. Internal bleaching can be done using two procedures: “chair side bleach” or the “walking bleach”. In the “chair side bleach” procedure, the bleach crystals are placed inside the tooth and left for a period of time. Then, they are removed from the mouth before the patient leaves the clinic. Meanwhile, in the “walking bleach” procedure, the bleach crystals are left inside the mouth for days. The endodontist instructs the patient when to come back for the removal of the bleach crystals. In both procedures, the treatment may be done once or several times depending on the degree of the discoloration. Vital pulp therapy aims to treat reversible pulpal injuries to maintain pulp vitality. This is a recommended procedure for treating primary teeth with deep caries and exposed pulp. In this procedure, a substance which forms a protective barrier between the dentin and the pulp is used. We also cater to emergency endodontic cases such traumatic dental injuries. Understanding the importance of delivering immediate treatment for emergency cases, 7 Day Dental’s practice is open all days of the year. Hence, you do not have to wait long for you to get relieved of your pain or for your emergency to be addressed. So, for endodontic concerns or traumatic dental injuries, especially a knocked out tooth, call us ASAP! Our Emergency Dentist are ready to serve you.